Hi, buddies, here I am to share my experiences in mascara. As I told you in my last article, I have been using cosmetics since 16 and the major popular brands. And in this article, I will tell you my suggestions on how to choose mascara that suits you the most. Before making a decision, stand in front of the mirror and observe your eyes carefully. How are your eyes? 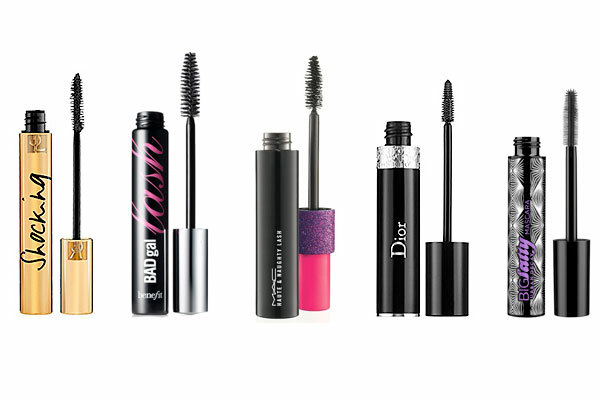 Whether your eyes are big, small, single or double-eyelid, there's some perfect mascara that suits you the best. It's the most famous mascara in the world - I'm not exaggerating. It has the effects of both lengthening and thickening and it's extremely black. Black is the most powerful color to make your eyes look bigger and darker. If you have dark eyes or dark hair, I recommend this to you. However, if your lashes are short or weak, I don't suggest you use this mascara because it's very thick and heavy, and thus your lashes can keep curly only for a very short time. Definitely it's survived for the longest time in the world of cosmetics. It's a steal brand but the price doesn't mean everything. Any complaints will be so weak in front of their low prices. The only disadvantage is most Maybelline mascara smudges a little after several hours, but what can you say since the price is one tenth of those big brands? In my experience, Maybelline XXL is good enough. Actually, I don't recommend this. Yeah I must confess NO.5 is a good one but Chanel isn't doing well on cosmetics. Most of their makeup products ONLY LOOK wonderful. I bought two pieces of mascara from Chanel but neither of them suits me. Lengthening? Just so-so. Thickening? Maybe ok. Curling? Oh no please don't remind me of that word. I like this. It's a funny thing that from the beginning I didn't like Clinique at all. To my surprise it does a good job in both lengthening and curling. No smudges, that's a good girl. And it can be removed by warm water, which means you don't have to buy a professional eye-lip makeup remover. Ok, the time is limited and I will try to share more the next time. Hope this article will help you, my smart pretty girls. I'm buying some interesting attractive little things on this website, if you are interested, too, just come here and have a look. It doesn't take much time, does it?